This unique commissioned painting was a retirement gift from a group, for their inspiring boss, who would frequently use the Greek Warship Trireme as a metaphor for successful teamwork when addressing his team. These oar-powered ships were the fastest battleships of their time. The Trireme had not one, but three decks of rowers and required the rowers to work in unison in order for the ship to reach maximum speed and maneuverability. 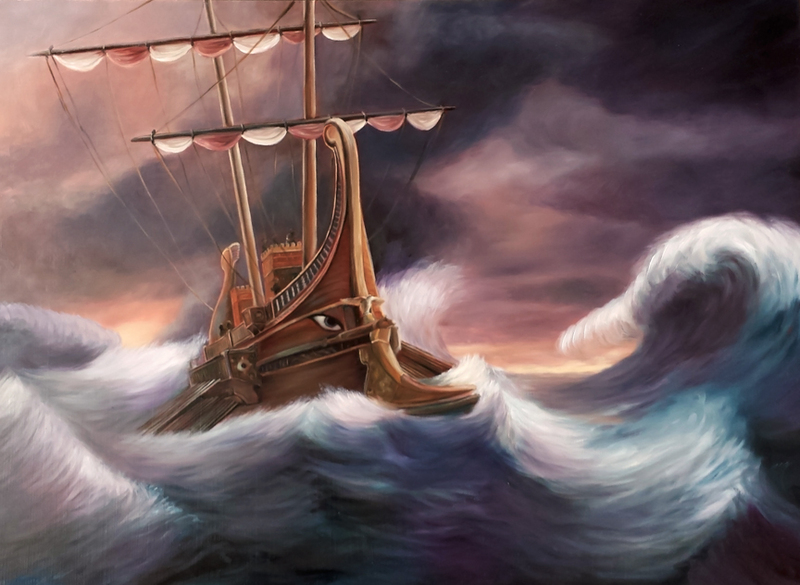 Their vision, as depicted in the final painting, was a single ship in rough seas, under a stormy sky.